Hydrosols are floral waters, hydroflorats flower waters or distillates are products from steam distilling plant materials. Hydrosols are like essential oils but in far less of a concentration. Hydrosols are the pure natural water that is produced during the distillation process. Hydrosols are only produced through steam, hydro or hydro/distillation. Water is needed for a hydrosol to occur. The plant material is placed into the retort (still) or distillation tank. The steam hits the plant, the water boils the material softening the scent or secretory cells releasing the essential oil that is contained within as a vapor. This essential oil vapor mixes with the steam and is separated again as the steam cools in the condensing tank. As the steam cools, the essential oil molecules separate from the steam (now as cooled water) and float on the water (except for the very few of them which sink) and the water, now is called the hydrosol, or sometimes, the hydrolat is syphoned off. The highest quality hydrosols come from the devoted artisan distillers who, with artist like precision steam the floral and plant material strictly to produce a hydrosol. Hydrosols contain all of the essence of the plant in every drop, just like essential oils but in a milder form; making them suitable for all manner of applications where essential oils would be too strong. They are wonderful to use with children and pets! 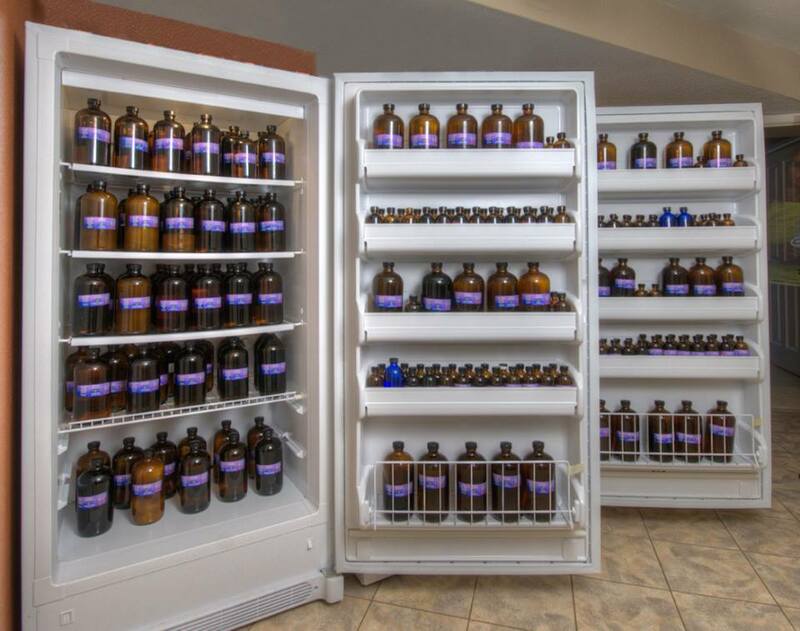 Our hydrosols at Stillpoint Aromatics are stored in sterilized clear glass bottles in our dark cold room until an order is placed. Our hydrosols are also nitrogen capped just like our essential oils and extracts, so they remain just as therapeutic as the day they were distilled and the shelf life is extended dramatically, The hydrosol is then especially poured for you, with conscious intention and ceremony, into a sterilized clear glass bottle. We use clear glass bottles for our hydrosols so you can see "what is going on inside the bottle." You can not see mold/fungal growth in colored glass like blue or amber, and it's important to be able to monitor the health of your hydrosols! Our hydrosols are distilled in a complete sterilized environment in copper alembic stills. Which by the way produce a sweeter hydrosol and also a more stable one. The water that we use is pure spring, or well water. Which is of utmost importance for a hydrosol. After a hydrosol is water! A spray of Geranium (Pelargonium graveolens) to cool a hot flash. Lemon Verbena (Aloysia triphylla syn. Lippia citriodora) hydrosol to keep you awake and alert. Use Lavender or Owyhee (Artemesia ludoviciana) to tone your skin before applying makeup. Use Yarrow hydrosol as a hand sanitizer. Melissa (Melissa officinalis) can clean fruits and vegetables before you eat them. Use a compress with Witch Hazel (Hamamelis virginiana) on varicose veins or hemorrhoids that are hurting you. At Stillpoint, we feel quite passionate about hydrosols as well as essential oils. Our students who take our aromatherapy classes where we fire up our copper alembic really understand how essential oils and hydrosols are created firsthand. When a plant is distilled, the water-soluble essential oil molecules are actually contained in the water that is produced. That is the hydrosol. For this reason, hydrosols have tremendous therapeutic benefits beyond just a great facial toner– although this really is one fantastic way that many hydrosols can be used. Hydrosols are actually the safest form of aromatic medicine. The ways that hydrosols can be used are almost endless! First of all, hydrosols are are safe for everyone: children, babies, and pets (even cats!). You can spray them everywhere—in rooms, on pillows, and most importantly on yourself. Hydrosols can be put in water to either drink (although you need training to do this) or in any aromatherapy formulations for skin, physical pain and emotional pain. Additionally, you can use them in your cooking and baking as well as cleaning and disinfecting. They are great in martinis and coffee! Here are a few popular hydrosols and how to use them. Lavender hydrosol (Lavandula angustifolia) is at the top of our list. It is one of the safest and all around beneficial hydrosols to keep on hand. It has a ph that is beneficial for all skin types. Lavender hydrosol makes a wonderful addition to those who make their own skin care products as it can be a substitute when water is used as an ingredient. It is natural and safe for use with children and for a multitude of issues, such as scrapes, bites, sunburn and any other skin irritation. In fact, any emotional irritation can easily be soothed with a spritz of Lavender hydrosol. Rose Geranium (Pelargonium capitatum) hydrosol has a lovely, uplifting aroma. It’s no wonder it is known to be anti-inflammatory to many issues where there is any redness, such as rosacea or broken capillaries on the face. It is a great humectant and can be used to help with many hormonal issues. I use this hydrosol every day (sometimes several times a day) to keep my skin moist, uplift my mood, and assist with peri-menopausal issues. Frankincense (Boswellia carterii) hydrosol makes a great spray for clearing energy either by misting on or around your body/aura. It is great for the skin, especially in the summer heat and humidity, because it has a slight drying effect. Because of this drying effect, it can help clear up congestion and mucus. Helichrysum italicumvis (Helichrysum italicum) hydrosol is known to have amazing cicatrisant (skin/wound healing) properties. It is great to use any time there is a need for healing. We have used it as a mouthwash for gingivitis (receding gums) as well as a compress where there is pain or inflammation. Although Yarrow (Achillea millefolium) hydrosol doesn’t have a “pretty” aroma, this is really one of our all-around favorites for so many reasons. Yarrow has an affinity for the blood and veins. We have had clients use Yarrow hydrosol on spider and varicose veins with great success. It is a great anti-inflammatory and is quite cooling whenever there is heat. It is a great alternative to Peppermint hydrosol. This is another favorite of Bella Chica. She says it is very calming. Even if you have tea tree essential oil in your tool kit, you may also want to include tea tree hydrosol. Tea tree hydrosol is a great mouthwash and can be used with tooth or gum infections. It also makes a great throat spray when we start to feel that “tickle” of a cold. A teaspoon of tea tree hydrosol can also be added to a glass of water to help with a UTI. Tea tree is one that I always travel with as I am prone to urinary tract infections. If I use it at the first sign of a UTI, I find it is amazing at lessening the symptoms! Hydrosols are safe for dogs and cats, but let them choose it. Do not chase them to spray them. Hold out the hydrosol or put it on a cloth and let the animal smell it. If she wants it she will let you know. She may rub up against it, or lick the air or her mouth. You will know. We created Bella's Skin and Fur Soother with hydrosols that are perfect for pets—and people, too! It is made with Rose Geranium Hydrosol, Rosehip Hydrosol, Geranium Flower Essence, and Helichrysum Flower Essence. It’s soothing for skin and fur alike, with a scent that is soothing calming, and can help with sadness. We offer a class especially on animals that you may be interested in attending. During the Applied Zoopharmacognosy Workshop, we’ll delve into the chemical signatures, plant morphology, and therapeutic and energetic aspects of essential oils and hydrosols as they apply to your pet (and you). 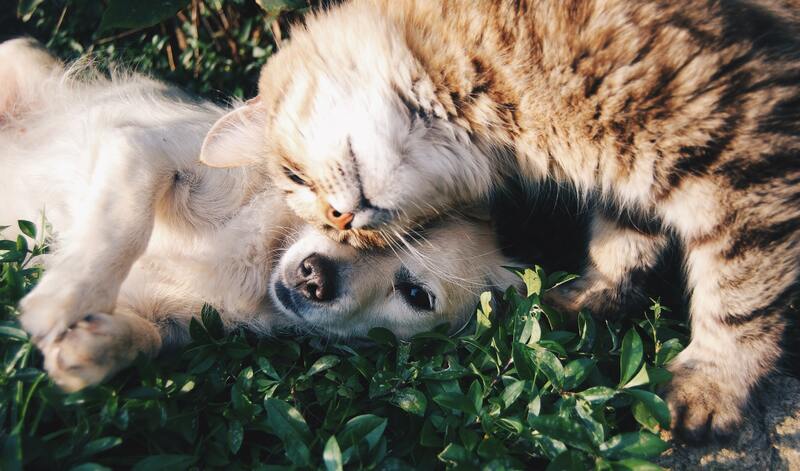 Discover why one plant may be more effective for your pet than another, even though they have the same chemistry. Work with copper alembic stills as well as a glass still, and go home with handmade hydrosols. The distillation portion of the workshop will cover the importance of sterilization when distilling for hydrosols. Hydrosols can be used quite effectively to help us stay alert and focused. I always have my spray bottle of Mint Medley or Rosemary nearby. Try a spritz of hydrosol in the afternoon (when our energy and mental levels can begin to dip) instead of a cup of coffee. Or try both! You can put a teaspoon of Chocolate Mint essential water in your cup of coffee for a fabulous uplift and amazing flavor! After spending the day outdoors, there are some wonderful hydrosols that are not only cooling to the skin, but also therapeutically beneficial. Most people know and love Lavender, but did you know that Cucumber hydrosol contains Vitamin C which can help reduce swelling and puffiness? Another wonderfully healing hydrosol is Comfrey. Comfrey helps the skin regenerate, bringing new cells to the surface to repair from UV damage. Finally, keep in mind that most hydrosols are extremely safe to use with children. We have written a blog post about our top picks for hydrosols that you may want to check out. They are highly therapeutic and possess many of the properties of essential oils in a very diluted form. They are quite valuable to have in any toolkit for our overall well being. A hydrosol is the “water” part of steam or hydro-distillation of a botanical. They have the same properties of essential oils, but are far less potent. But still quite powerful! Hydrosols can be used as cleaning agents on their own, or can be used in place of water in any cleaning agent recipe. When using hydrosols in a recipe, you may want to leave out or lessen the quantity of essential oil drops. We love to use them to refresh fabric on sofas and bedding. Choose an aroma you connect with energetically for a combination of deodorizing power and emotional support. Hydrosols make awesome window cleaners! Try using one… no streaks! Law of Vibration – States that anything that exists in our universe, whether seen or unseen, broken down into and analyzed in its purest and most basic form, consists of pure energy or light which resonates and exists as a vibratory frequency or pattern. Deepen your understanding of essential oil and aromatherapy applications to address the core issues and patterns that we hold in our psyche and cells that are detrimental to our way of being. This class delves way beyond just looking at the chemical components and the therapeutic benefits. It is the connection between the chemistry and the energy. Students develop meaningful ways to apply essential oils and extracts to address energetic and vibrational healing. You’ll learn how to use flower essences and hydrosols to stabilize the energetics of the body systems.